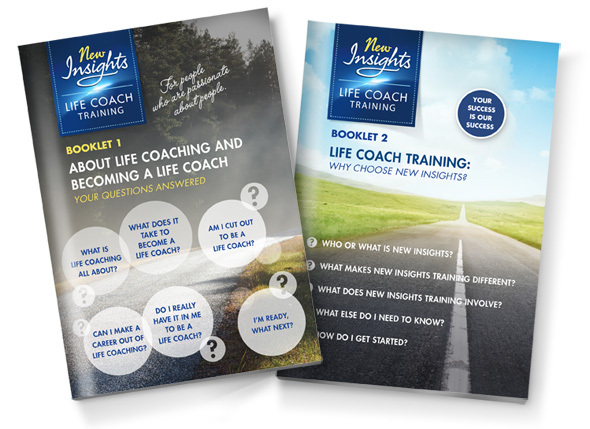 why choose new insiGhts life coach training? If you've landed on this page, it's likely you have one or more of these three fundamental questions in the back of your head. Life coaching truly is a wonderful career – but, in our experience, there are also many misconceptions about life coaching. And there are a confusing array of courses on the market, all claiming to turn you into a practising life coach – some within a few weeks or months – and most differing widely in the fees charged. It's no surprise then, if you're wondering what exactly it is that you really need to know, where you should turn for honest answers and who should you trust with your training? To help you cut through the noise, we've painstakingly produced two informative e-reports. We've called on many years of experience in the industry to provide you with straightforward answers to all the key questions you are likely to have. What it is, how it differs from counselling and other related disciplines, and why it is such a very special career, done either part- or full-time. What does it take to become a really good Life Coach? The qualities, qualifications and nature of training ideally required. How do I know if I am cut out to be a life coach? Includes two questionnaires you can answer to help you decide. Can I make a career out of life coaching? Includes discussion on the demand and supply for life coaching, how to specialise in certain niches, how to get clients and what you can expect to earn. Do I really have it within me to be a life coach? Tackles the most common limiting beliefs people like you may have. Who or what exactly is New Insights? All about our business, our principles, where we operate and our unique home study based training approach. What makes New Insights training different? Our points of uniqueness, our philosophy, our coaching system, etc. What does the New Insights Life Coach Training Programme involve? The various elements of the Programme, when to enrol, time and investment required, topics covered, means of assessment, etc. What sort of support and assistance can I look forward to during and after certification with New Insights? How we go above and beyond the rest in supporting you and helping you succeed and maintain a successful practice. The details you provide in the form below will be used solely to add you to our mailing list so we can follow up with you from time to time and, if you so choose, to subscribe you to our award winning bi-weekly blog, Life Coaching Insights. Being subscribed to our mailing list and/or Blog is entirely free of charge and without obligation. You are totally free to unsubscribe at any time you please. These eReports are in full colour PDF format. The file sizes are approximately 3.7Mb (Booklet 1) and 4.2Mb (Booklet 2). Please double check your email address before submitting!